Which Milk Is Best To Use For Cappuccino Froth? Nespresso DeLonghi Lattissima Pro vs. Lattissima Plus: What’s The Difference? 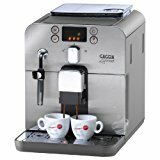 Gaggia Brera vs. Platinum Vision vs. Titanium Super Automatic Espresso Machines: What’s The Difference and Which Is Best? In this post, we’ll do a comparison between these 3 super automatic machines so you can choose the one that suits your needs best. All 3 machines have durable stainless steel exterior. Equipped with built-in ceramic grinder that won’t rust or burn the coffee as it grinds it, preserving most of the flavor of the beans. They all have digital display screens (although of different sizes). All have 15 bar pump pressure. Automatic cleaning and descaling alert. Removable brewing group for easy cleaning. Platinum: Touch screen + knob for adjusting brew strength. Platinum: Classic frothing wand with Milk Island. The Gaggia Platinum features an ‘Espresso Plus’ system which allows you to adjust the intensity of the coffee brew with a simple dial switch (this is different from adjusting coffee bean grind). It also includes a milk container which is perfect for frothing milk on its own and storing left-over milk in the fridge. Which Is Best: The Gaggia Brera, Platinum or Titanium? 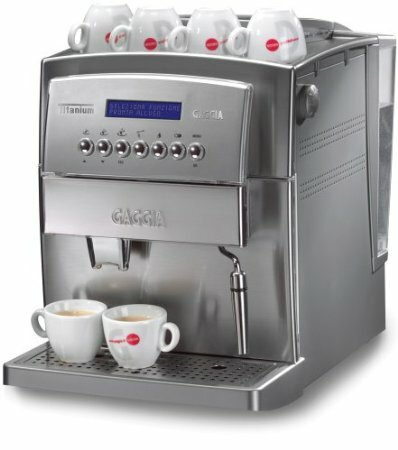 The Gaggia Platinum wins for its touch screen control and its Espresso Plus feature, which the other machines lack. The Titanium is best when it comes to water tank capacity, saving you many refilling trips. 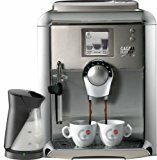 The Gaggia Brera is the best size wise, it’s perfect for small spaces and office use. It’s also the most affordable. Click here to learn more about the Gaggia Brera, read the customer reviews and buy it. 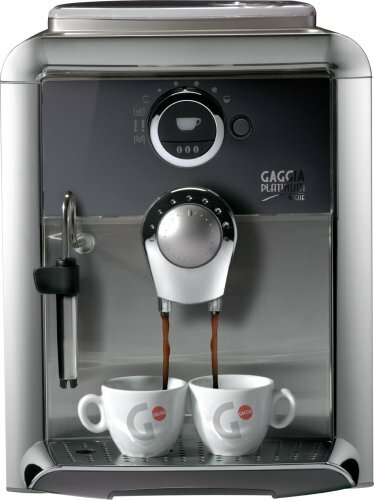 Click here to learn more about the Gaggia Platinum Vogue, read the customer reviews and buy it. Click here to learn more about the Gaggia Titanium, read the customer reviews and buy it.